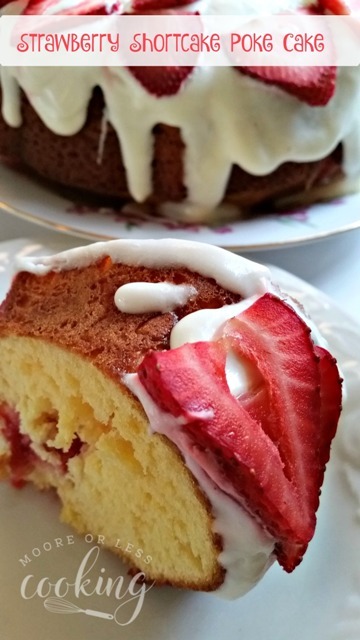 A fun bundt poke cake using fresh strawberries puts a new spin on strawberry shortcake! 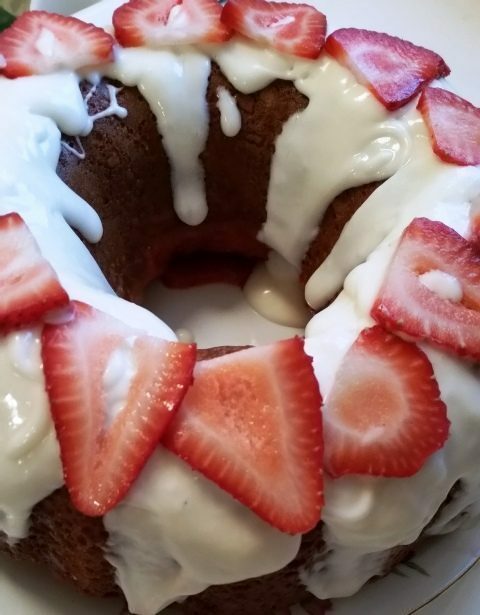 Moist delicious yellow bundt cake with fresh strawberries poking through and a cream cheese glaze topped with fresh berries. We were at my grand daughter’s christening and my daughter in law ordered the most delicious Baptism cake. Hubs ate two very large pieces! I couldn’t wait to come home and recreate it! I think it came out so tasty! Only 3 easy ingredients needed to make the strawberry mixture for poking. Poke holes with a wooden spoon. Refrigerate in pan for 2 hours in the refrigerator. Drizzle glaze over cake. Garnish with sliced strawberries. Such a beautiful and delicious cake! 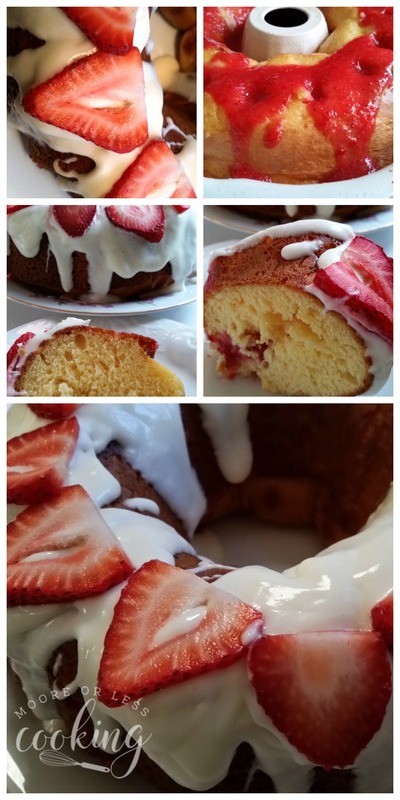 So easy to put this tasty cake together! 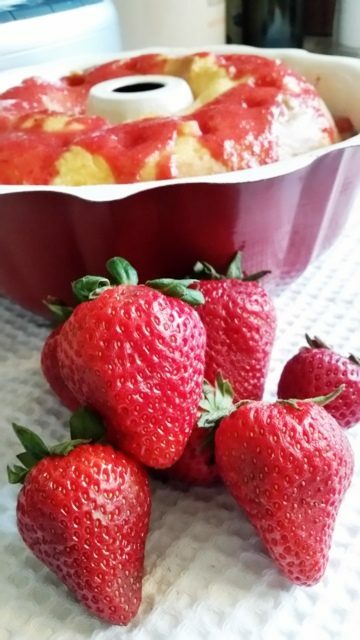 WATCH MY VIDEO TO SEE HOW EASY IT IS TO MAKE MY STRAWBERRY SHORTCAKE POKE CAKE! 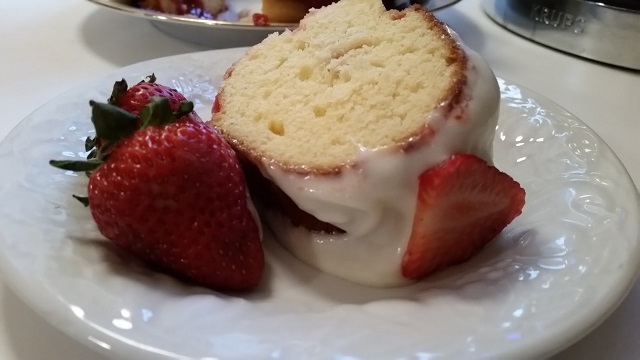 A fun bundt poke cake using fresh strawberries puts a new spin on strawberry shortcake! 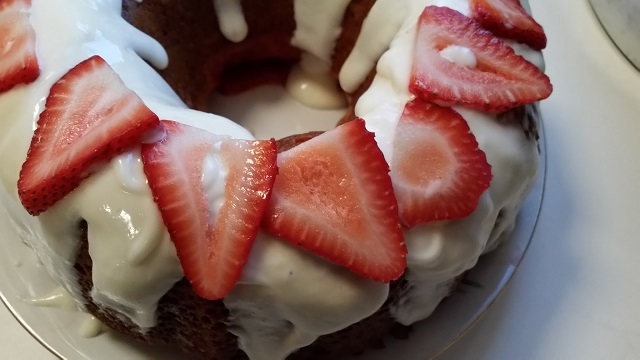 Spray a 12 cup bundt cake pan with Pam or Bakers Spray. In a large bowl beat cake ingredients with an electric mixer on Low for 1 minute, keep scraping bowl. Raise speed to medium beat for 2 minutes. Bake 40 minutes or until a toothpick inserted in the center comes out clean. In a food processor, blend poke mixture until blended and smooth. Pour into a 4 cup measuring cup and set aside. Poke holes in the cake while still in the pan, Pour mixture over holes in the cake, using a spoon to direct the mixture. Poke more holes if you have leftover strawberry mixture. Let cool for 40 minutes, then place in refrigerator for 2 hours. Remove from refrigerator, run a plastic knife around the edges of pan to loosen the cake. Turn upside down on to a serving platter. 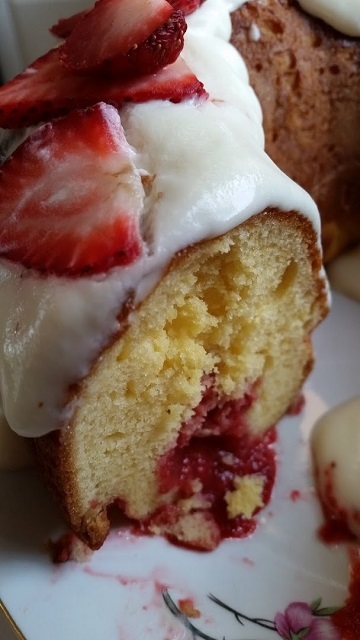 In a medium bowl, mix cream cheese glaze ingredients together until smooth with a hand blender on low speed, add more milk one tbsp at a time, if you would like the consistency to not be so thick. 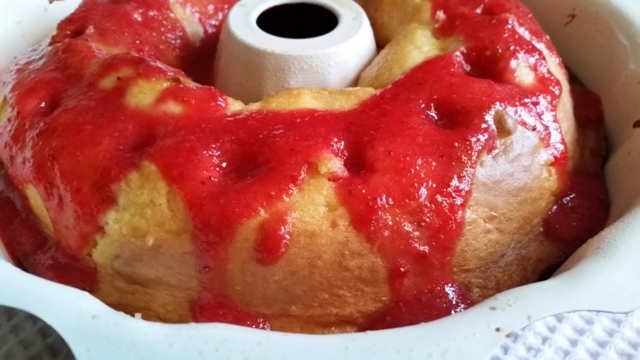 Glaze cake as desired and garnish with strawberries. Keep refrigerated. I’ve made poke brownies but never a poke cake—mostly because they always seem to require Cool Whip. Now yours is one I’d love to try!!! Gorgeous and perfect for spring!